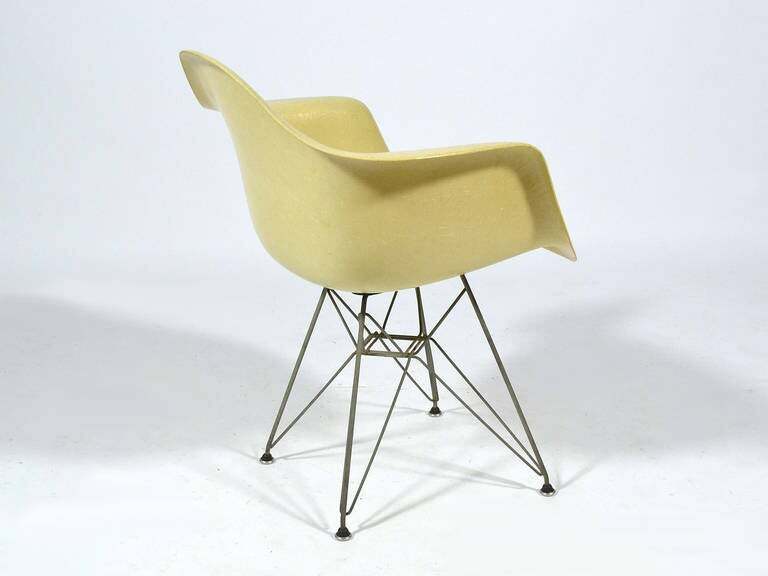 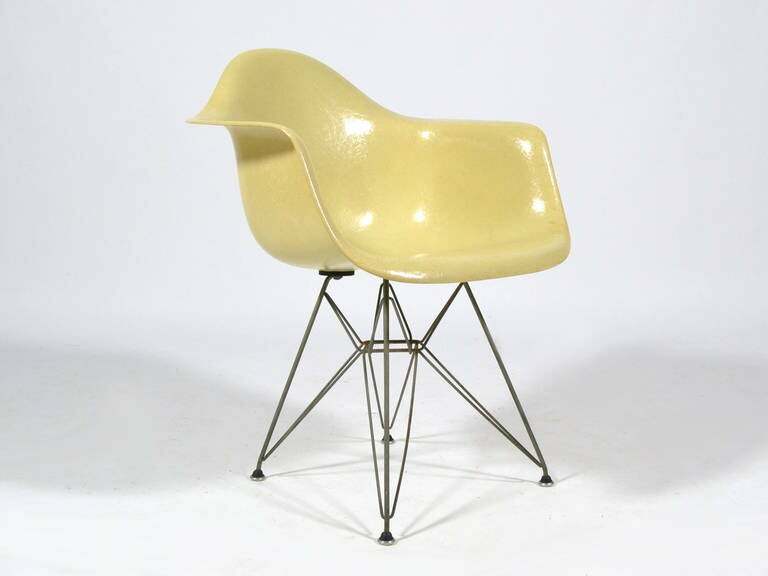 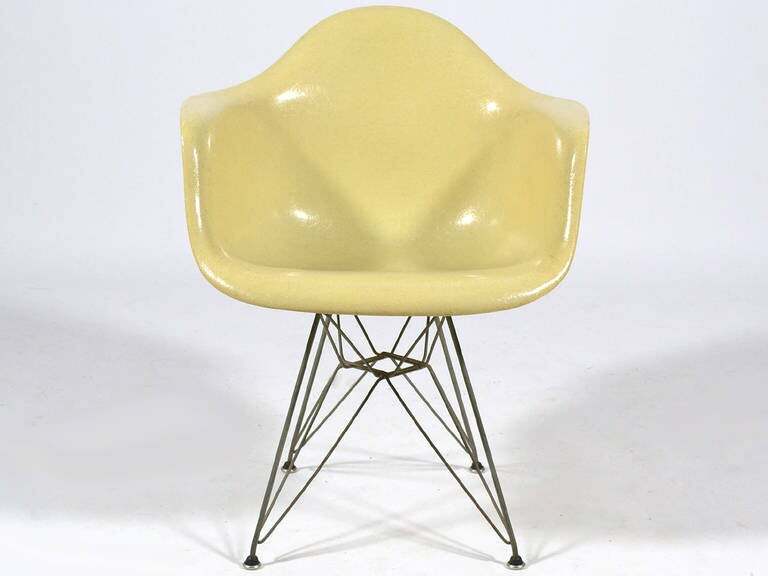 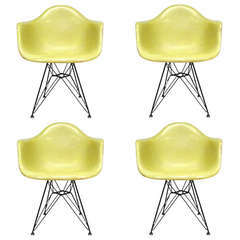 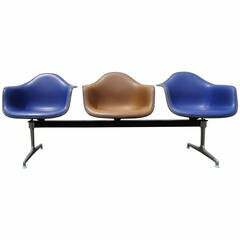 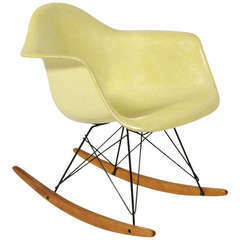 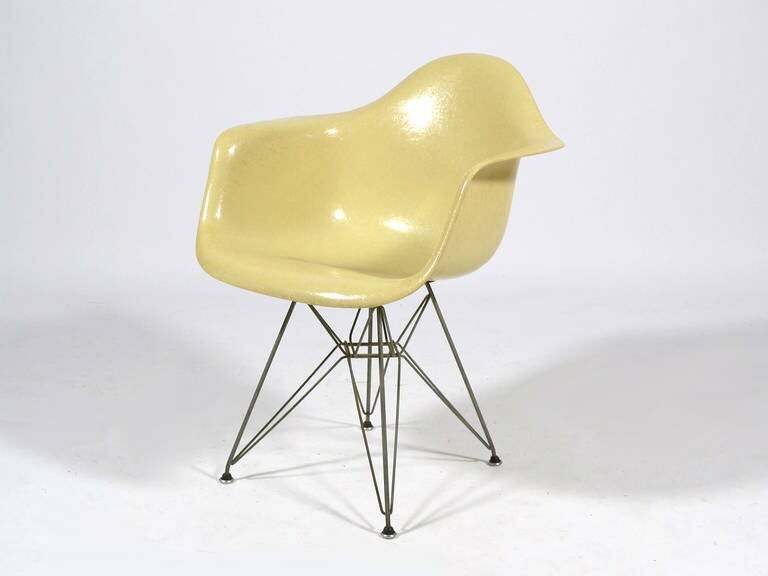 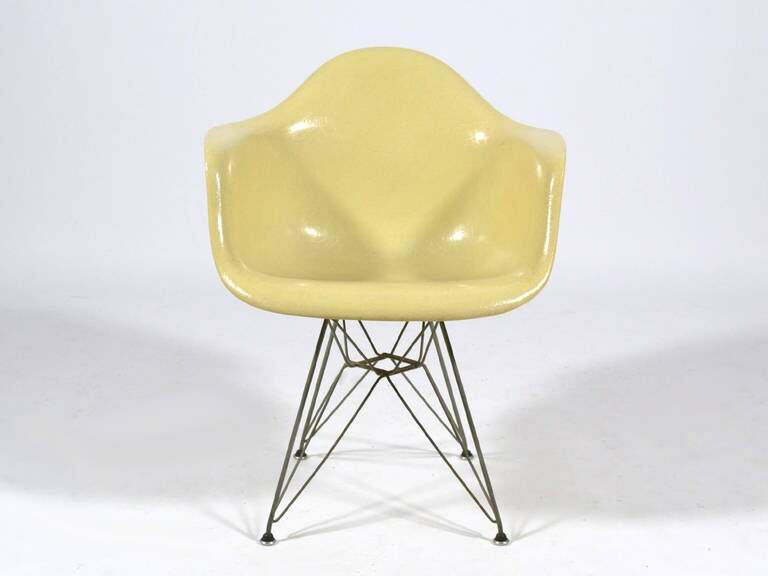 The earliest fiberglass Eames chairs were produced by Zenith Plastics and came in a limited palate of five colors including parchment. 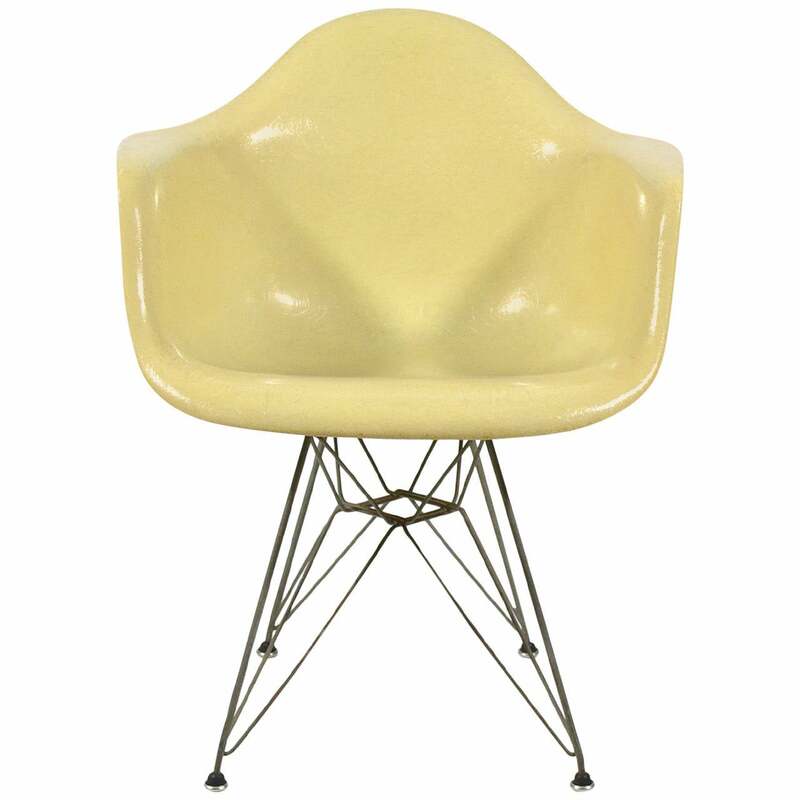 The Zenith produced shells are distinctive for their high fiber content, larger, more substantial rubber shock mounts and translucent fiberglass. 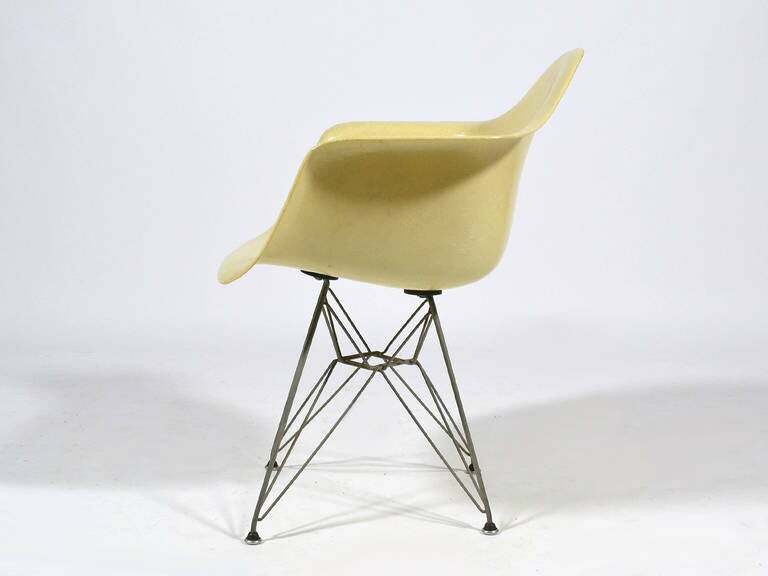 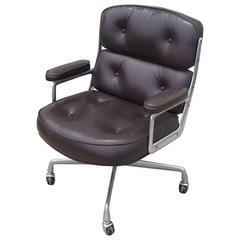 The fiberglass chairs came with a range of bases to accommodate different uses and aesthetics. 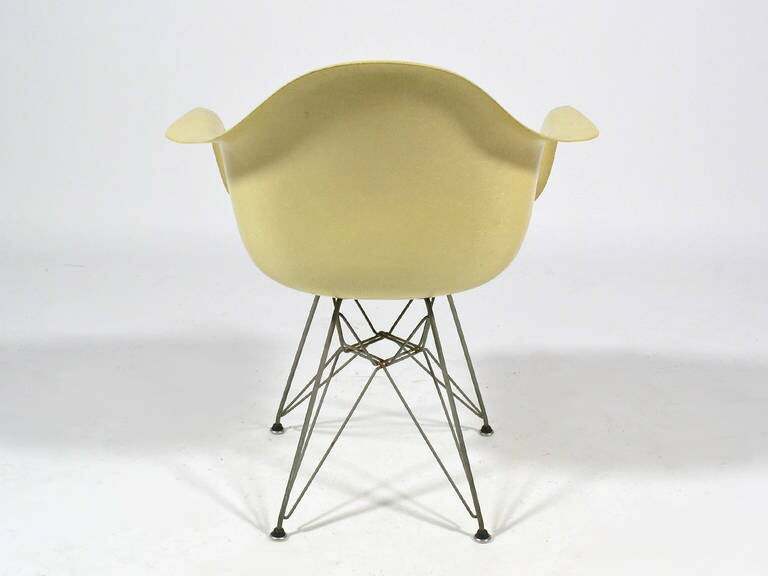 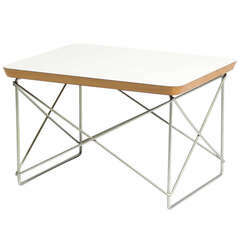 The DAR was the designation given chairs such as this with wire "Eifel Tower" base and a seat height perfect for use at a table or desk. 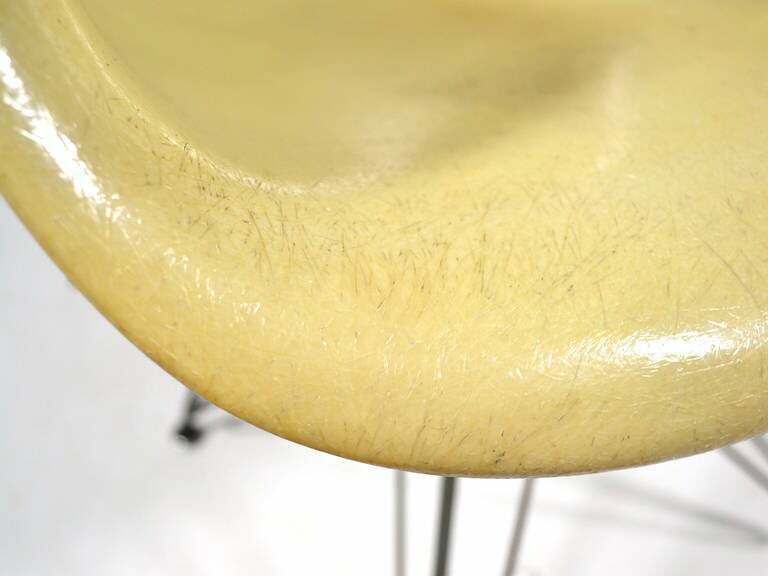 This chair is from the "transitional" period when Zenith Plastics was still making the shells, but had stopped imbedding rope around the edge. 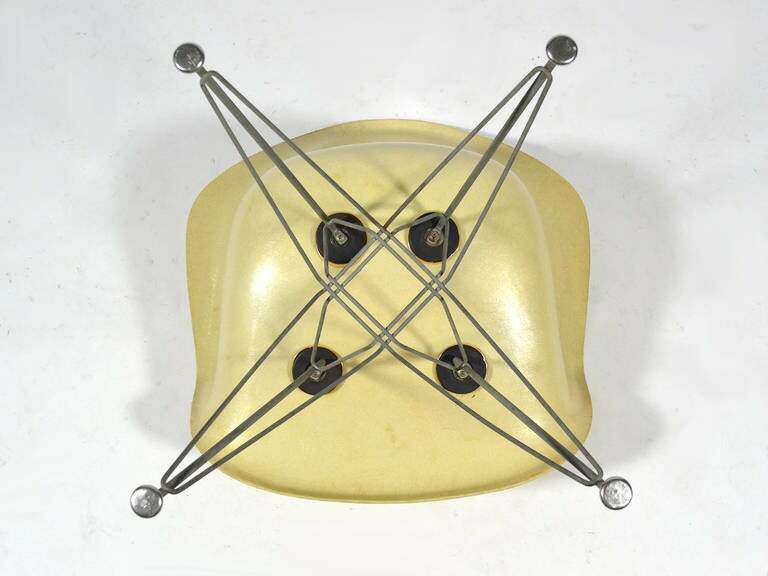 It has rubber and stainless glides on the zinc base.